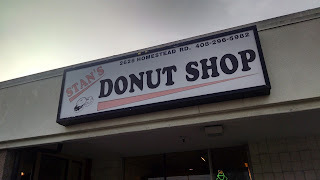 The Internet sings the praises of Stan's and now I know why. 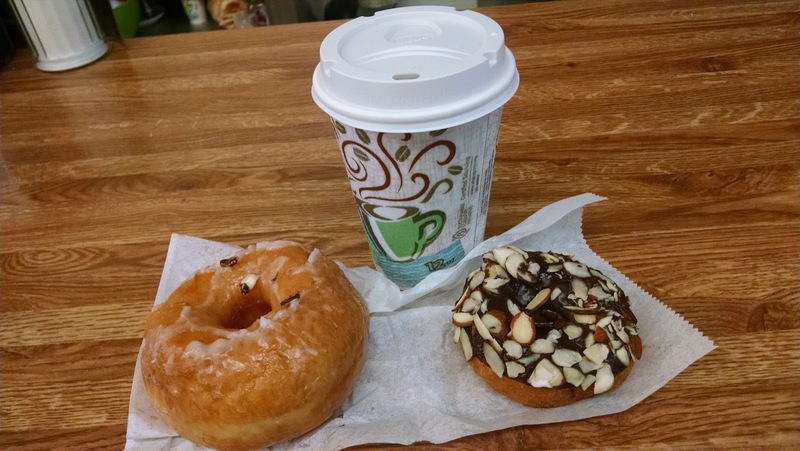 The people who stand in line for these donuts love these outstanding donuts. 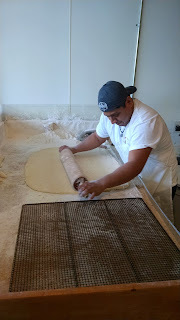 Here is the donut maker practicing his craft in the front window of the shop. 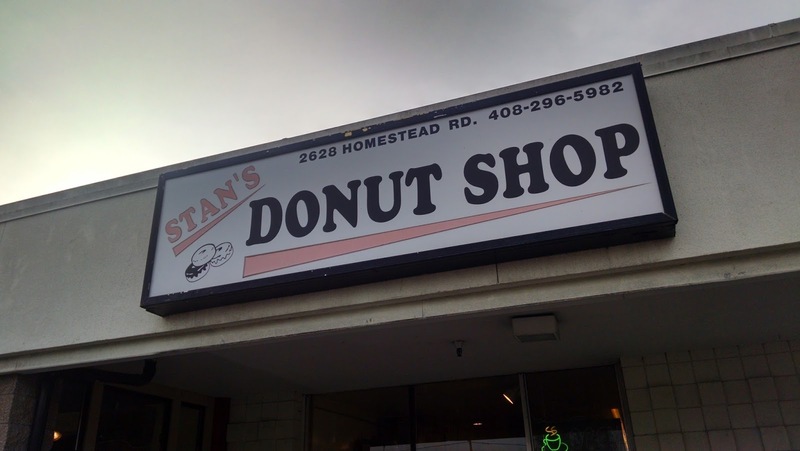 This is not Stan's first location. 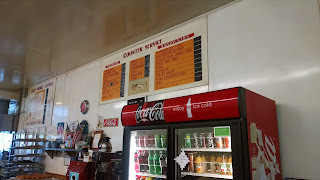 But Stan's dates back to the 1950's, as evidenced by the signs. The shop also features a comfortable counter well-worh with use. 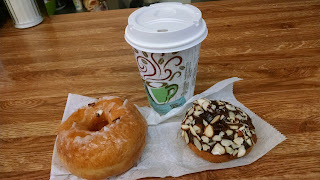 When trying a donut shop, I like to try both the raised and baked. My raised glazed donut had caught my eye as it sat on the cooling rack behind the register. As it turns out, it was hot, not just warm. Wow! Wonderful soft texture, glaze just barely hanging onto the side of the donut. What a treat. Truly spectacular. I saved the chocolate almond for later in the car. It was also wonderful with a soft, tender crumb and very fresh and tasty almond slices.